One of the rituals of hajj is to stone the three pillars at Jamaraat. When we are hitting these, we are thinking which of our bad habits do we want to hit and get rid of to become closer to Allah. 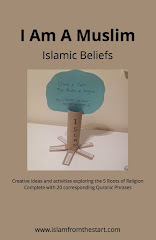 Recap the concept of taqwa, reminding how no one can make you do anything. They might ‘whisper’ and give you ideas to do something wrong, but when you have taqwa, you remember Allah and have the power to fight the whispers and not listen to them. 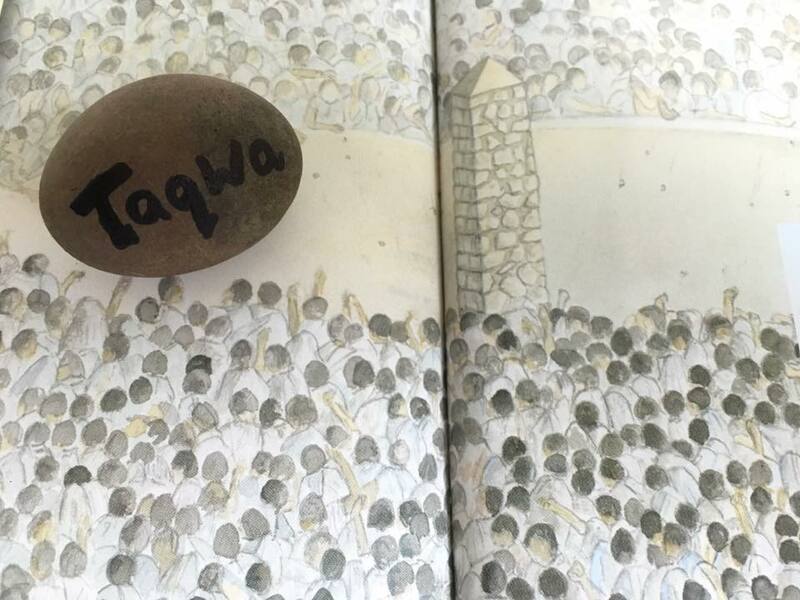 Go in search for pebbles and write the word Taqwa on one of the stones. Discuss scenarios when you've been tempted to do something wrong. Did you fight it away and hit it with the stone of Taqwa? Display your Taqwa pebble as a reminder of the strength of Prophet Ibrahim (as) as he fought away the whispers of Shaytan. We too by remembering Allah all the time can stop becoming distracted to do what is wrong.